It will also have the ability to image huge areas of sky in parallel a feat which no survey telescope has ever achieved on this scale with this level of sensitivity. With a range of other large telescopes in the optical and infra-red being built and launched into space over the coming decades, the SKA will perfectly augment, complement and lead the way in scientific discovery. Both South Africa’s Karoo region and Western Australia’s Murchison Shire were chosen as co-hosting locations for many scientific and technical reasons, from the atmospherics above the sites, through to the radio quietness, which comes from being some of the most remote locations on Earth. South Africa’s Karoo will host the core of the high and mid frequency dishes, ultimately extending over the African continent. Australia’s Murchison Shire will host the low-frequency antennas. Hundreds of thousands and eventually up to a million low-frequency antennas will be located in Western Australia. The SKA will be developed over a phased timeline. Pre-construction development started in 2012 and will last until the latter half of this decade, involving the detailed design, implementation, R&D work, and contract preparation needed to bring the SKA’s first phase to construction readiness. This first phase will involve testing the full system in a “proof of concept” manner. In Australia, the SKA low-frequency telescope will comprise 512 stations in a large core and three spiral arms creating a maximum baseline of 65km. Each of the stations will contain around 250 individual antennas, meaning almost 130,000 will be installed on site in total. Initially, 476 of these stations will be constructed with a maximum baseline of 40km. The further away antennas are from the core of the telescope, the more expensive they become, so slightly reducing the number in the early stages of construction will allow the SKA to stay within the budget available at the time construction begins. The remainder will be added when funding allows. Unlike telescopes that take the form of one huge dish, the scalable nature of interferometers like the SKA means that more stations can simply be added to the array further down the line. 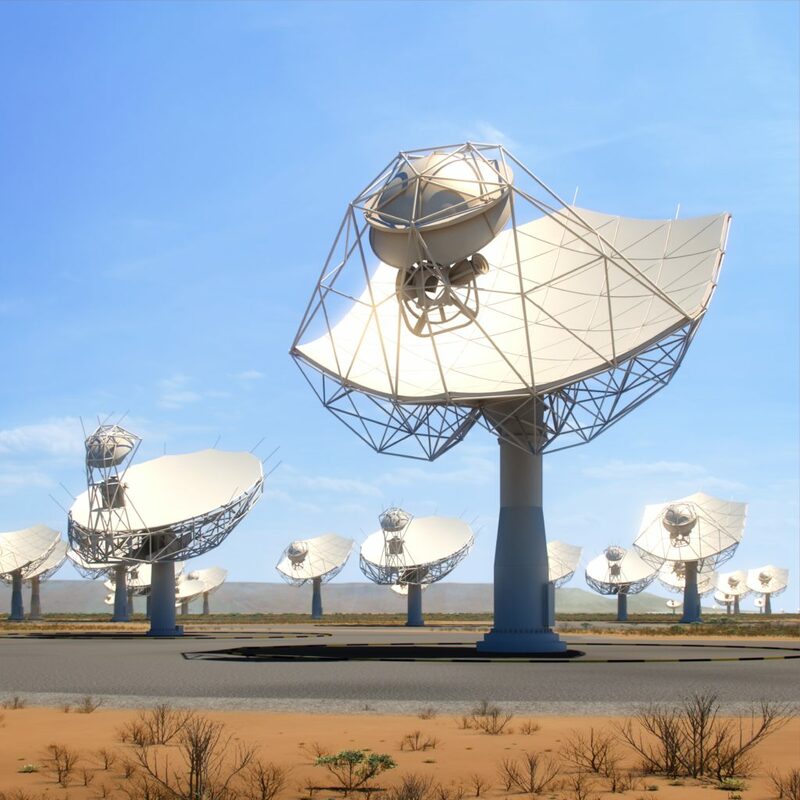 A similar situation will apply with the mid-frequency telescope in South Africa, where 133 antennas will be added to the existing the 64-dish MeerKAT precursor telescope, forming an array of nearly 200 dishes. Some of them will be arranged in three spiral arms with a maximum baseline of 150km. Initially, 130 of these dishes will be constructed with a maximum baseline of 120km; the remaining three will be added later. The ultimate goal is to expand the SKA further, to 10 times this size, with a million low-frequency antennas in Australia and some 2000 high and mid frequency dishes and aperture arrays extending into African partner countries across the continent. 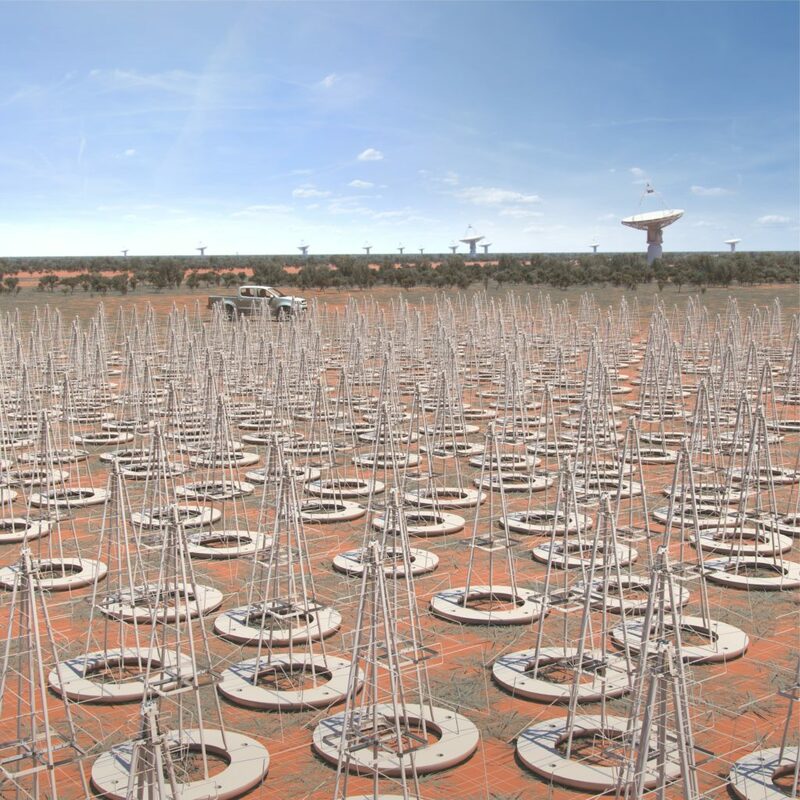 The SKA will start conducting science observations in the mid-2020s with a partial array. Some planned components of SKA Phase 2 are still in the early stages of a multi-year design process and the final costs of manufacture, installation and operation are unknown at this time. The construction costs of the full SKA will, therefore, be presented to the Board once credible estimates have been developed based on detailed engineering and design work. These may require refinement as the SKA Phase 2 science drivers are further developed. Early science observations are expected to start in 2020 with a partial array.